Brocade server connectivity solutions provide enterprise-class SAN and LAN connectivity for servers. 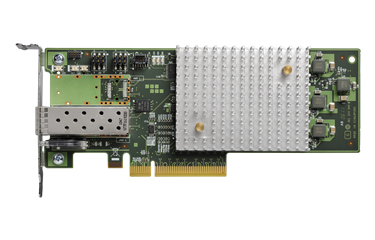 The Brocade 1860 Fabric Adapter delivers Brocade virtual Fabric Link (vFLink) I/O virtualization technology to extend Fibre Channel and Ethernet fabric services to the application level in virtualized environments. Brocade also offers 4 and 8 Gbps Host Bus Adapters (HBAs) and 10 GbE Converged Network Adapters (CNAs) for tower, rack, and blade servers.